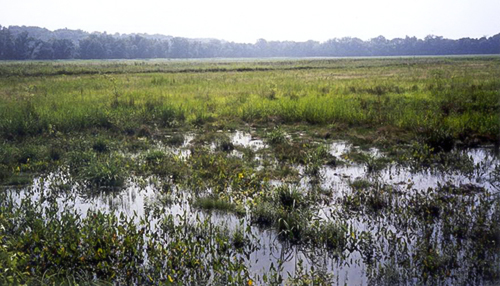 This project involved converting 50-acres of cultivated farmland into wetlands for the James River Mitigation Landbank. The site is bordered to the south by the James River and to the west by Genito Creek, and lies within the floodplain of the James River. 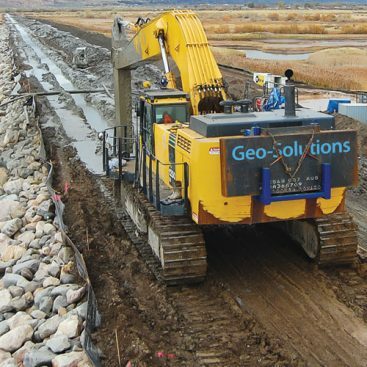 Converting the site into a wetland required extensive earthwork and grading of the entire 50 acres of land. 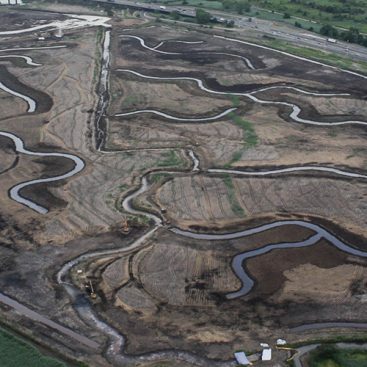 In total, approximately 50,000 cubic yards of soil were moved to create ponds, channels and uplands. Common phasing of the project included topsoil stripping, relocation of silty/clayey loam material, followed by topsoil replacement. 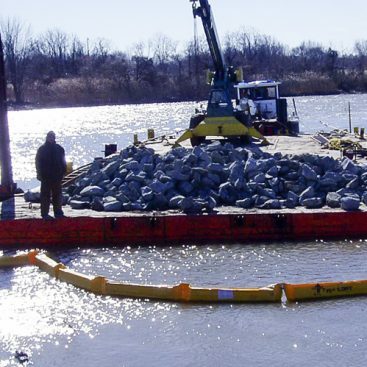 The sandy soil, as well as any extra silty/clayey loam material requiring relocation, was placed along the banks of the James River and Genito Creek creating an area known as a riparian buffer. The buffer is several feet higher than the inner wetland region and was designed to control water inflow/outflow for the site. The final phasing of the project included stream restoration and seeding. Equipment used to perform the soil excavation and relocation included self-loading pans, as well as excavators and trucks. Due to moist site conditions most of the fine grading work was performed using (six-way blade) bulldozers.